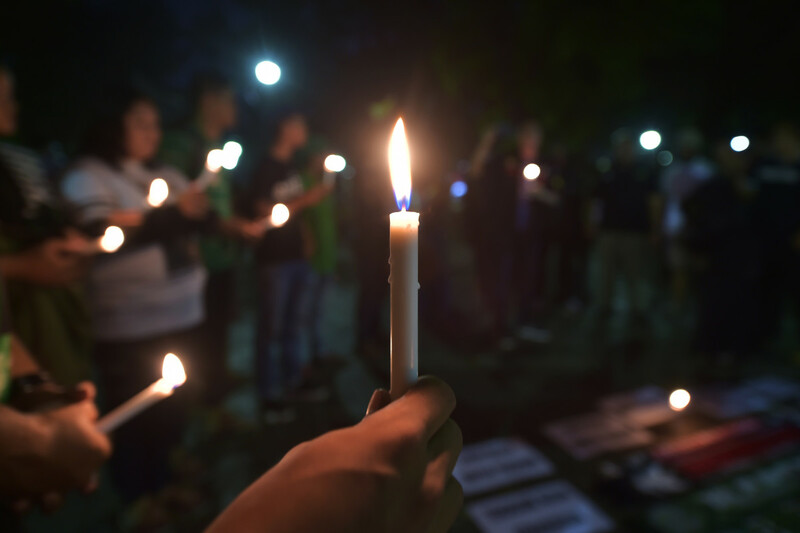 Indonesian people take part in a candlelight vigil in support of the victims and their relatives following a series of bomb attacks in Surabaya, in Jakarta, on May 14th, 2018. 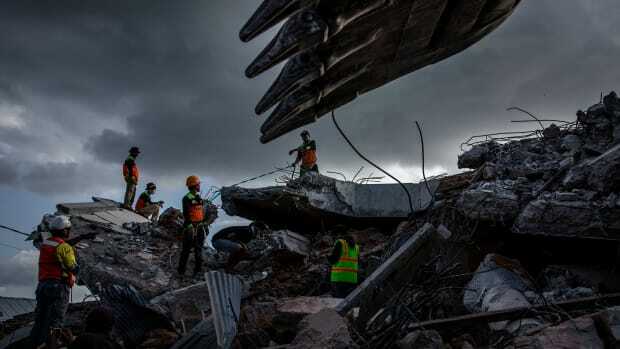 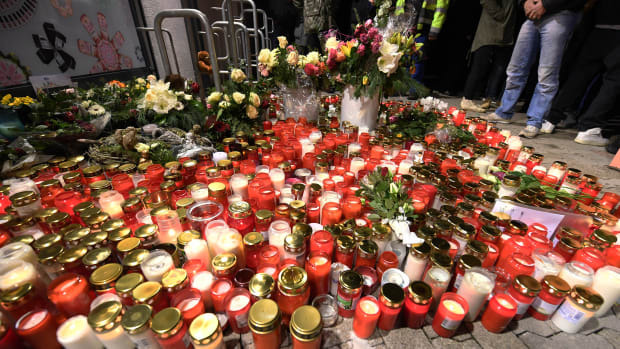 A family of five, including a child, carried out the suicide bombing of a police headquarters in Indonesia, police said, a day after a deadly wave of attacks on churches staged by another family. 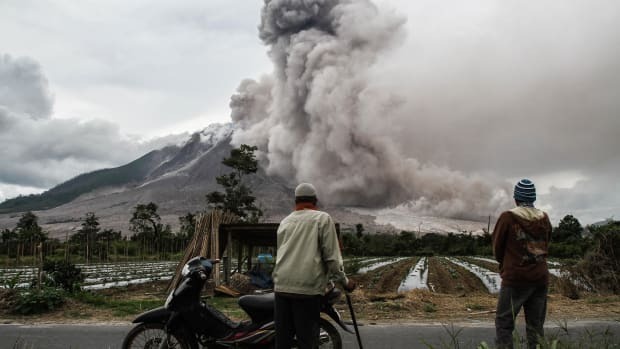 Indonesian villagers watch as Mount Sinabung volcano erupts in Karo, North Sumatra, on October 24th, 2017. 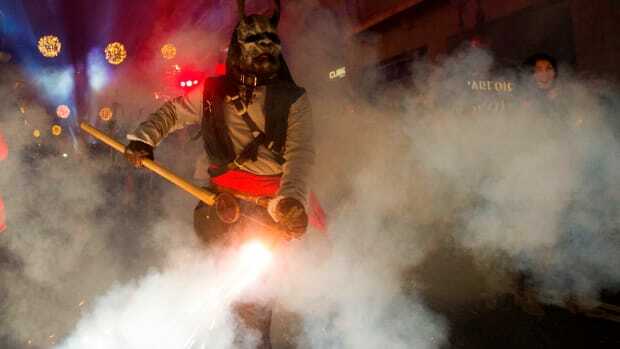 A costumed reveler takes part in the Correfoc festival in Palma de Mallorca, Spain, on January 21st, 2018.